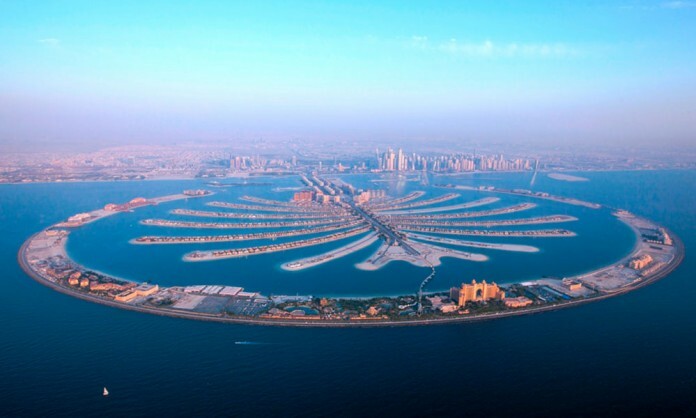 Dubai, 13 March 2016 …UAE master developer Nakheel, creator of some of the world’s most famous landmark real estate projects, is targeting European investors with a diverse range of products worth AED 4 billion (EUR 1 billion) as it attends MIPIM, the world’s largest real estate event, for the first time. Investment opportunities include around 100 land plots for commercial, residential or hotel development and around 1,000 built-form residential units, with rental yields of between five and nine per cent annually, at prime locations across Dubai. The only Dubai developer exhibiting at the conference this year, Nakheel is looking to add to its already-extensive pool of European investors, whose investments currently total nearly AED7 billion (EUR 1.7 billion). The company will focus on institutional investors and those in the hospitality and retail sectors during MIPIM, which has 21,000 participants. Since its launch in 2001, Nakheel has delivered a range of iconic, landmark developments that have helped transform Dubai into a world-leading destination for living, tourism and trade. The company awarded construction contracts worth AED 8 billion (EUR 2 billion) in 2015, with another AED 8 billion (EUR 2 billion) due this year for new projects being developed in line with the Government of Dubai’s vision for 2021. Nakheel’s current projects span more than 15,000 hectares and provide homes for over 270,000 people, with new master communities and a growing collection of residential, retail and hospitality developments in the pipeline. Some 3,600 investors from Europe have already bought 4,700 land plots or residential units – collectively worth AED 7 billion (EUR 1.7 billion) – from Nakheel. British citizens account for 70 per cent of investors, with over AED 4.9 billion (EUR 1.2 billion) invested, followed by buyers from The Netherlands, Ireland, Germany, Belgium, France, Sweden, Italy, Denmark and Portugal. Speaking at MIPIM, Nakheel Chairman Ali Rashid Lootah said: “Nakheel is proud to represent Dubai at MIPIM. Since our formation in 2001, Nakheel has played a pivotal role in shaping Dubai into a global destination and a magnet for overseas investors. We continue to design and deliver new, world-class projects in line with the Government of Dubai’s vision. “Dubai’s excellent transport, education, trade and recreational facilities already entice millions of people to live, work and spend leisure time in the emirate. As the city continues to grow, so will the need for more accommodation and attractions for residents, tourists and businesspeople, opening up further opportunities for investors. The Nakheel stand at MIPIM will feature scale models of the company’s flagship project, Palm Jumeirah, and the developer’s next waterfront wonder, Deira Islands – a 5.3 sq km coastal city that will turn Dubai’s traditional trading hub into a world-class destination for tourism, retail and entertainment, and add 40 km, including 21 km of beachfront, to Dubai’s coastline in the process. Other projects on show include Nakheel’s Jumeirah Village, Al Furjan and Jumeirah Park master communities as well as luxury apartments on Palm Jumeirah, townhouses in Nakheel’s high-end Jumeirah Islands development and spacious three-bedroom homes at its new, gated Warsan Village community.